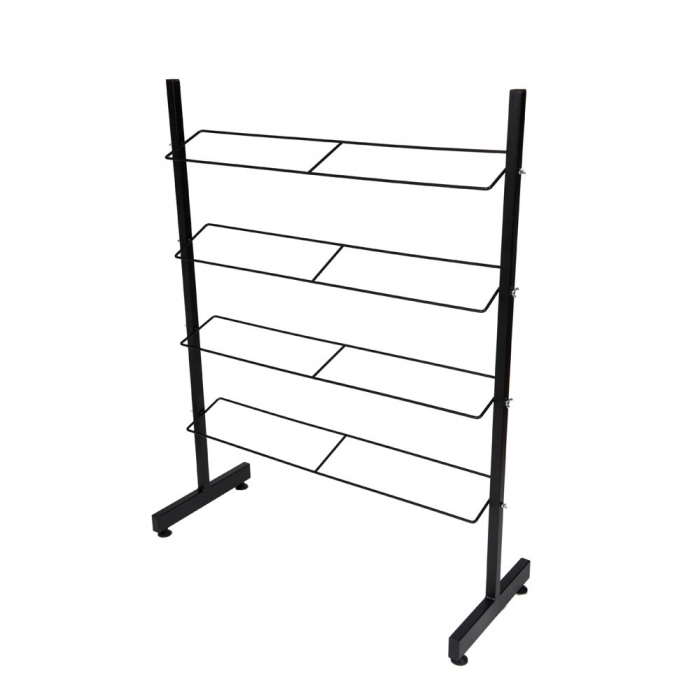 A stylish straight shoe rack in a black matt finish. 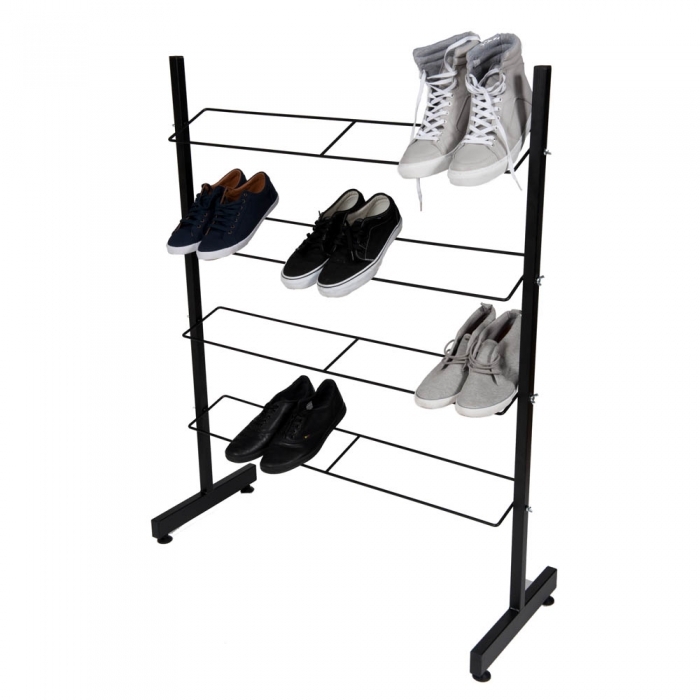 It can hold up to 20 pairs of shoes (5 pairs per shelf approx). Each shelf can be adjusted to display at different angles if required. Each shelf is wound by a screw to the frame.